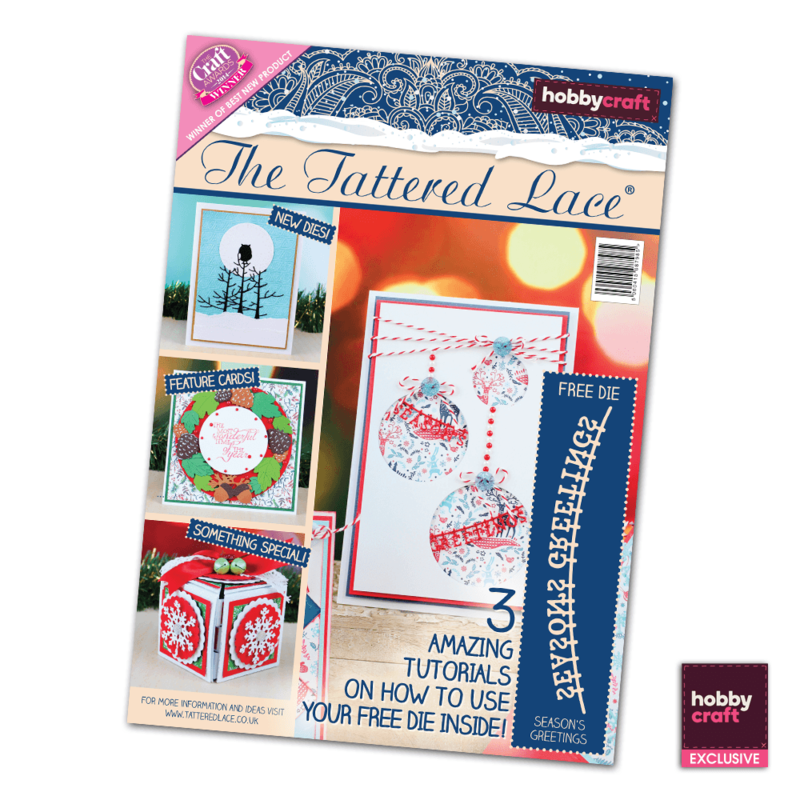 Welcome to the Tattered Lace Hobbycraft Christmas Special 2015! And what a treat it is. The magazine features the brand new Ornate Reindeer die, the Owl Tree die, the Holly Branch die, the Jolly Santa, along with some favourites. Of course the star is the fabulous, FREE “Season’s Greetings” washing line die and the three lovely projects that you can make using the die. As well as the FREE die, you will also receive a lovely pack of 16 backing papers in the centre of the magazine. They cover a broad spectrum with elegant, cute, contemporary and classic themes that will work so well with both your brand new FREE die, but also those you already have or are planning to add to your collection.